Now Thru September 30, It’s THE HOBBIT! J.R.R. 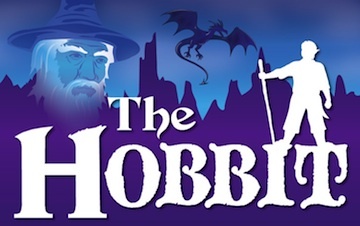 Tolkien’s beloved classic, THE HOBBIT, is turning 75 this September, and we’re celebrating at ALT by bringing it to life on stage! It’s unusual for a modern work to become a classic so quickly, but Tolkien’s “ring” stories, which began with THE HOBBIT, clearly are in this very special category. They stir the imagination and intellect of everyone they touch. Bilbo, one of the most conservative of all Hobbits, is asked to leave his large, comfy home in the ground to set off as chief robber to recover an important treasure. It’s the last thing that any sensitive Hobbit would want to do, but great benefit eventually results—not only for Bilbo but for all of the Hobbits who inhabit Middle Earth—and for those children and adults who continue to enjoy this kind of magic. JOIN US!! TICKETS ON SALE NOW! ← UP NEXT AT ALT: THE HOBBIT!